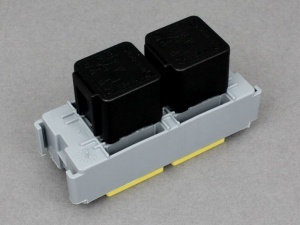 Module for holding 2 mini relays as part of the MTA modular fuse and relay system. Excellent product, but must be used with thought. 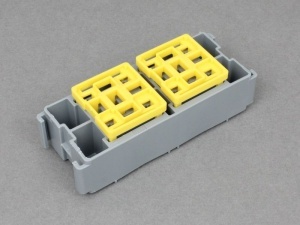 These modular products are excellent for creating a professional fuse/relay board. 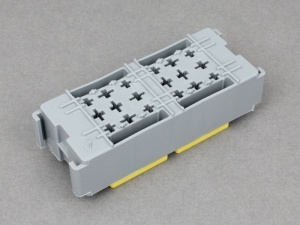 The relay/cable carriers have a strong positive clip into place and cannot easily be removed so when these are being used pay attention to the overall wiring. Although not stated this product can primed and painted for a different finish.